To help prevent wildfires, the Department of Natural Resources urges people to place used fireworks, including sparklers, in a bucket of water after they’ve gone out. When thrown on the ground while they’re still hot, fireworks can cause grass fires that can spread to become wildfires. Warm weather and family gatherings can make the Fourth of July a fun time with great memories. But before you celebrate, the Michigan Department of Natural Resources is asking residents and visitors to make sure they understand the importance of fireworks and campfire safety. 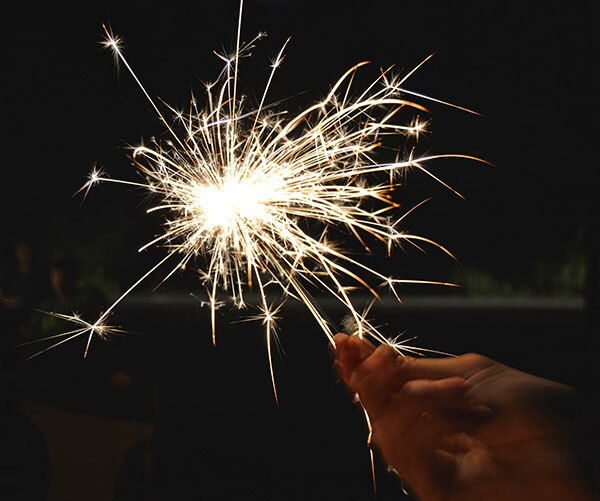 Sparklers can reach 1,800 degrees Fahrenheit—hot enough to melt gold. Always place sparklers in a bucket of water when they have gone out; when thrown on the ground, they can cause grass fires. Point fireworks away from homes and keep them away from brush, grass and leaves. Chinese lanterns can stay airborne for 20 minutes and reach heights up to 1 mile high before coming down in unplanned locations. The open flame has the potential to start fires. Soak all fireworks in water before throwing them in the trash. Use fire rings in nonflammable areas when possible. Keep a water source and shovel nearby. Place roasting sticks in a bucket of water when not in use. Completely extinguish fires before turning in for the night. Douse with water, stir and douse again to make sure no embers are left. For more fire prevention information and safety tips, visit www.michigan.gov/preventwildfires.